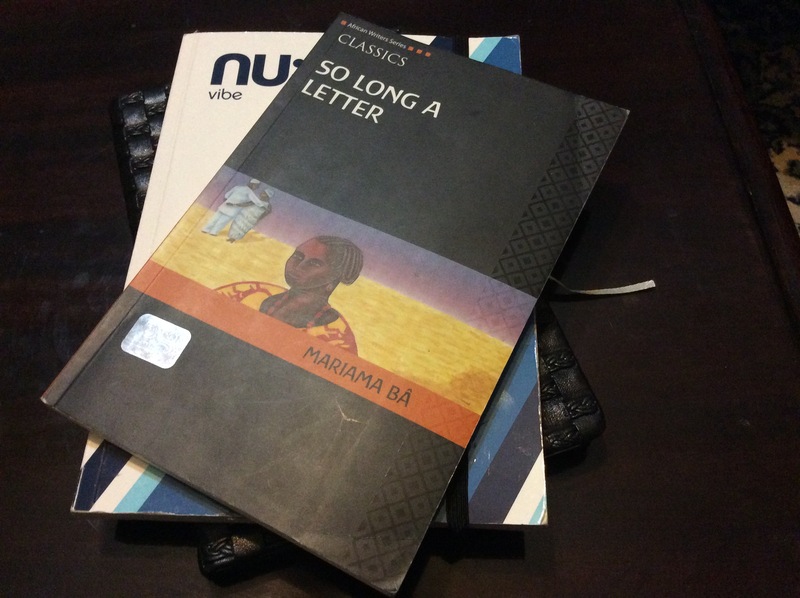 So Long a letter is a sequence of reminiscences- some wistful, some bitter-recounted by Senegalese schoolteacher Ramatoulye, who has recently been widowed. The letter addressed to a friend is a record of Ramatoulye’s emotional struggle for survival after her husband’s abrupt decision to take a second wife. At the heart of this novel, the author addresses the issues of tradition and culture viz a viz westernization. She begins buy giving vivid descriptions of burial rites with a mix of African and Islamic traditions. I resonated with her critique of people’s behavior during funerals. In her words: “A disturbing display of inner feeling that cannot be evaluated now measured in Francs! And again I think of how many of the dead would have survived if before organizing these festival funeral ceremonies the relative or friend has brought the life-saving prescription or paid for hospitalization.” It is a pity that we only appreciate people only after they are gone. Worse still, we do not respect the solemnity of funerals by driving our own agendas (Yes, I am looking at you, Mr/Ms. Politician!). Ms. Bâ captures the female mind grappling with polygamy and the seemingly subservient role of women in society. She puts men to task by addressing their role in accepting second or third wives without even talking to their first wives just because culture and religion accommodates it. Aside from fulfilling their natural desires, they forget to consider the feelings of their first wives and whether they will be able to comfortably cater for the needs of their increasing family including their additional relatives. “..You have set yourself a difficult task; and more than just my presence and my encouragements, books saved you. Having become your refuge, they sustained you. If I could describe this book with one phrase, I would say “Dynamite comes in small packages”. Being a history junkie, reading this book was a pure delight as I was forced to recall the bit of Western African history that I had learned in primary and secondary school (Well at the time, it was no fun trying to memorize cram all the tribes and kingdoms, 8-4-4 anyone?). This book would be good for anyone interested in African feminism and Africa’s “coming-of-age” process. You can also read another good review of the same by Under the Neem Tree.